The Outreach action in Engagio helps you assign a Sequence to an Outreach user to run against a prospect. 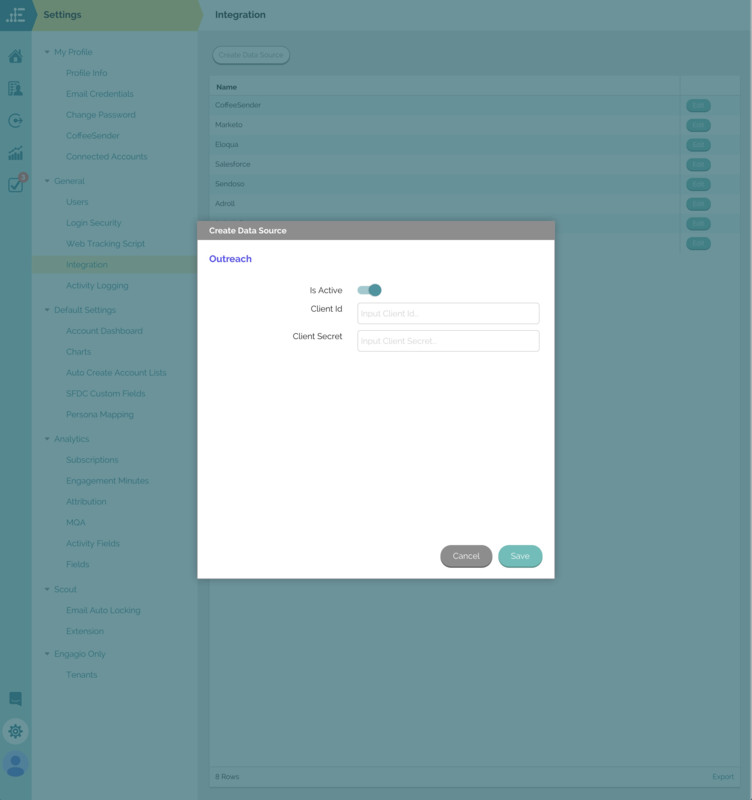 This integration allows you to easily manage assigning and running Sequences from within Engagio without the need for an Outreach user to sign-into Engagio--letting each team use the most comfortable workflow. You will need to contact Outreach's platform team to complete the set up the Engagio integration. Send an email to platform@outreach.io with the following template. We are looking to integrate Engagio with Outreach. I'd like to request a Client Id and Secret for this integration. Please set to the redirect URL for this integration to be "https://app.engagio.com/admin/oauthcallback". Engagio hosts clients separately so I need a Client Id and Secret specific to our instance to be generated. If you need anything else to complete this set up, let me know and feel free to cc support@engagio.com as needed. Outreach is a tenant-level integration which an admin will need to set-up. Go to Settings > General > Integration. Click on the "Create Data Source" button and select Outreach. We recommend that you log-in with an admin-level Outreach account. Outreach does not differentiate between shared and private Sequences via their API, but admins have access to all Sequences which will mitigate any Sequence restrictions. This action's purpose is to assign a Sequence to an Outreach user to run. 1. Select a prospect ("To") from the dropdown. 2. 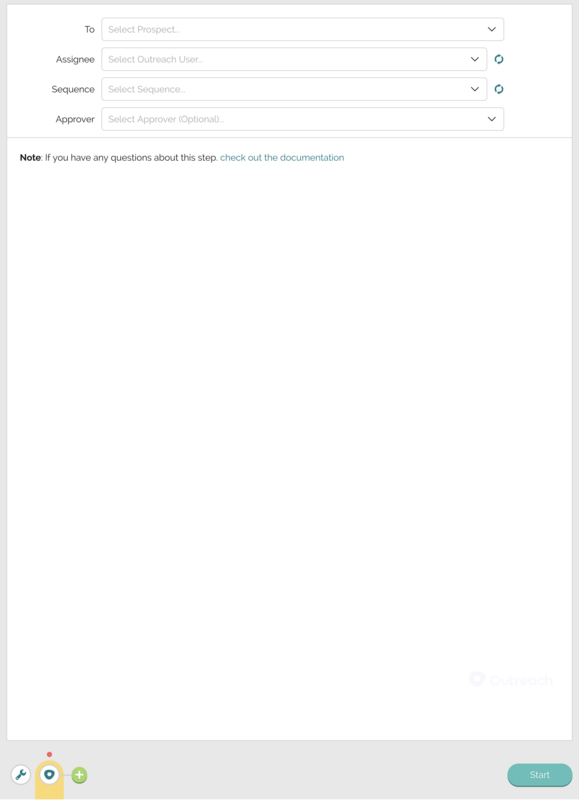 Select an Assignee from the dropdown. The Assignee can be any Outreach user including yourself. 3. Select a Sequence from the dropdown. You can use any Team Sequences from this dropdown menu. 4. An Approver is optional. The Prospect will be added to the appropriate Sequence immediately following the execution of the action. If a prospect is already being targeted in another Sequence, you will see an error stating so in the Action History and the Engagio will not be able to complete the action.